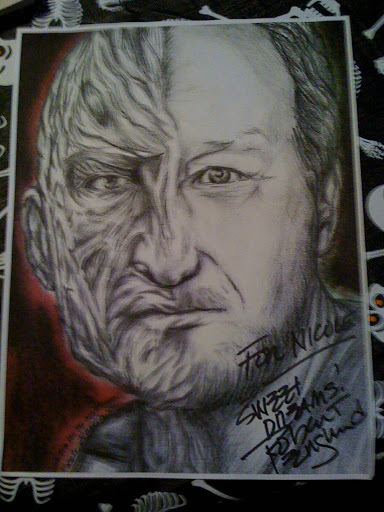 Well me and my husband Frank went to another horror con this weekend. A BIG thank you and shout out to my Dad who paid for our hotel room and our tickets for our 30th birthdays (back in Feb) this was one con that as extremely memorable. 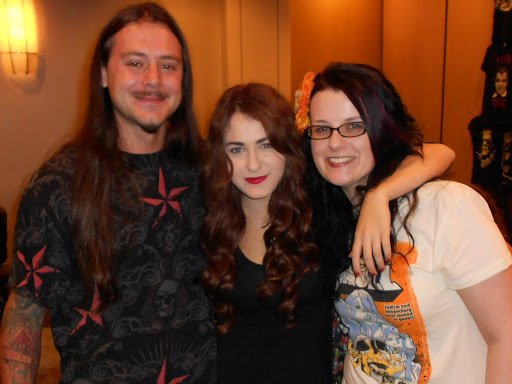 First I gave a custom barrette to Scout Taylor Compton who seemed to really love it. She told me she has a photo shoot coming up and she wants to wear it for it! She even said she would send me pictures once the photo shoot is done and she has them. Fingers crossed! She was a complete doll in person. He couldn’t believe I was giving him the original and him being in awe of that made all the hard work of drawing it that much more meaningful to me. 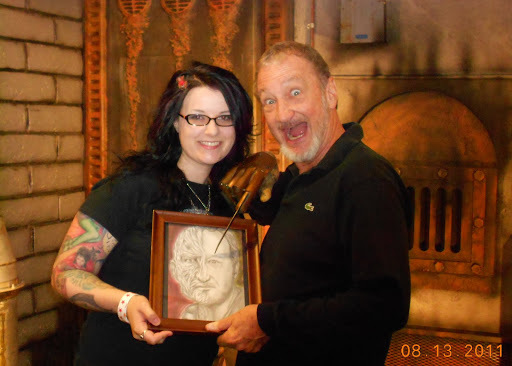 Me giving Robert the portrait!! EEK! Chatting with Robert while he signs a print copy of my portrait for me. My signed print for my portfolio! 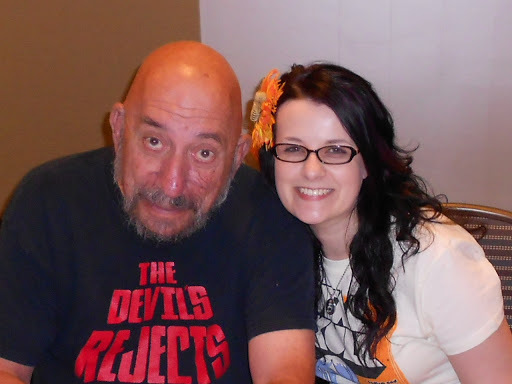 On top of all that excitement I was super excited that Sid Haig was appearing at this con. All of you know I have nothing but mad LOVE LOVE LOVE for Sid 🙂 and every chance I get to see him I make it a priority ha ha. When I saw his line had started to die down a little I made it a point to go over to talk to him and catch up on things. He asked me if I started my new job yet and we BS’d for a little while until his line started to get backed up ha ha. I snuck back behind his table for our traditional Sid & Nicole pic before the line got too bad ha ha. 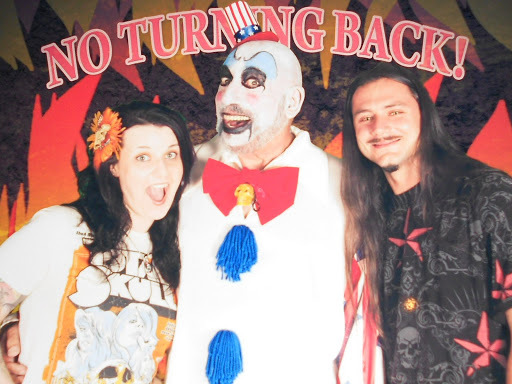 On top of that.. they were doing a photo op at the con complete in Sid’s Captain Spaulding makeup so I made sure to save my pennies so me and Frank could do it! When I walked into the room where the pics were be taken and I walked up to him I was like “OMG How freaking awesome it is to see you in full make up and costume!!GAAAHH! and he started to laugh. I had to take my glasses off cause they did something with the green screen and reflection. This is a scanned copy of the 11×14 print we got at the con.. In about a week I will have a jpg copy of the image that I can post that will be WAY clearer. 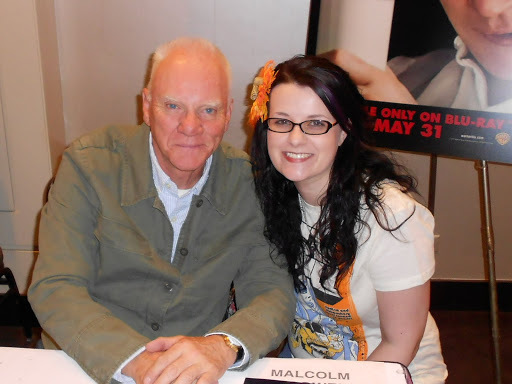 Malcolm McDowell and me! DROOG! Lance Hendrickson giving Frank the thumbs up! He loved our tattoos! The best birthday present ever from the best Dad ever!! 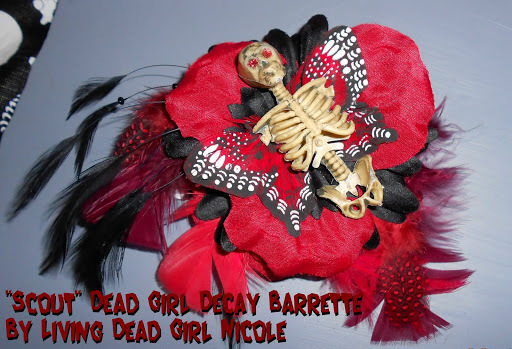 All of these pictures have been added to my celebrity slide show on the About The Dead Girl – Artist Info Page! It was an amazing weekend. And Robert was even more awesome this time around.. he had a lot more time to really chit chat and make small talk with the fans. He had us all laughing too. I am sure there are some cons in your area.. or in surrounding states. OMG, it sounds amazing. 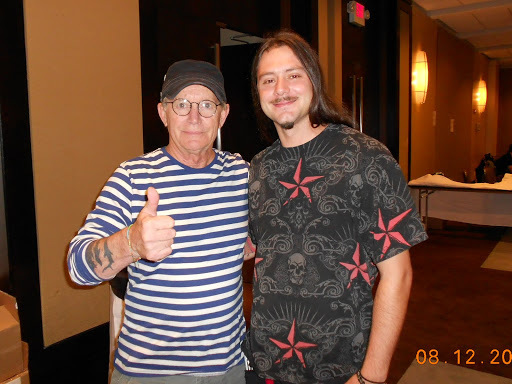 I am so jealous you got to meet Malcom Macdowell. There's just something about him that makes me want to hug him, lol. Plus Sid and Robert. What a great birthday present! Malcolm was really cool to meet. His line was pretty long tho when we met him so your time with him felt a little rushed. Sid is always a delight to talk to. I admire him and his work so much so it's always nice to catch up with him in person instead of just always on the net. 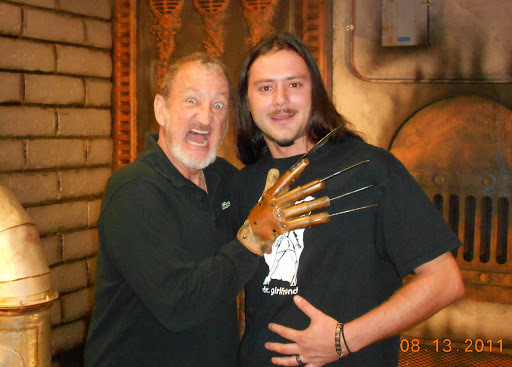 This was the 2nd time I met Robert but giving him that portrait made it that much more special. Plus his line was a lot less rushed when I saw him this time around so we were able to chit chat and hear some of his stories and things. 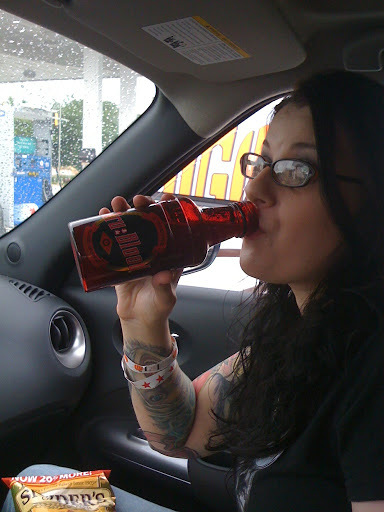 Damn sounds like an awesome time, great pics too! !